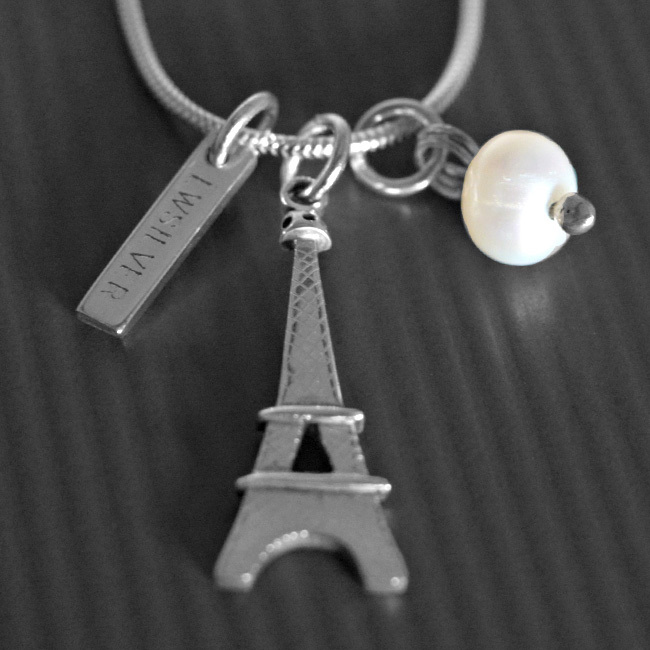 The Charm Necklace features a handcut Eiffel Tower design with a freshwater Pearl and LWSilver tag, strung onto a silver snake chain. All handmade using sterling silver. 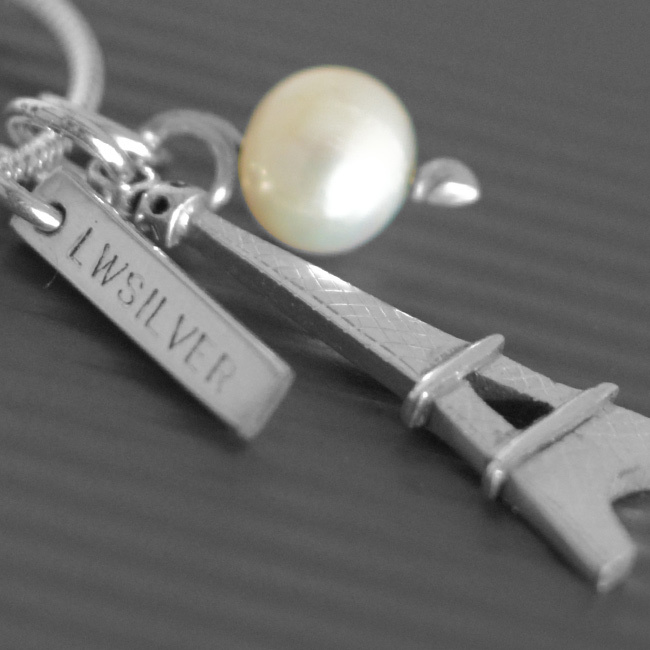 Pearl is the › birthstone for June. SKU: N/A. 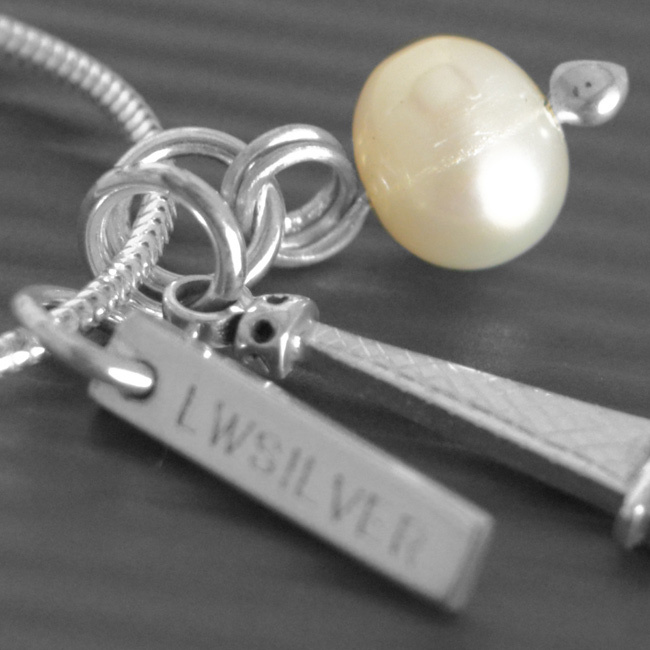 Availability: In stock Size: N/A Categories: All Jewellery, Necklaces, Birthstones, Commissions, Collections, Birthstones. 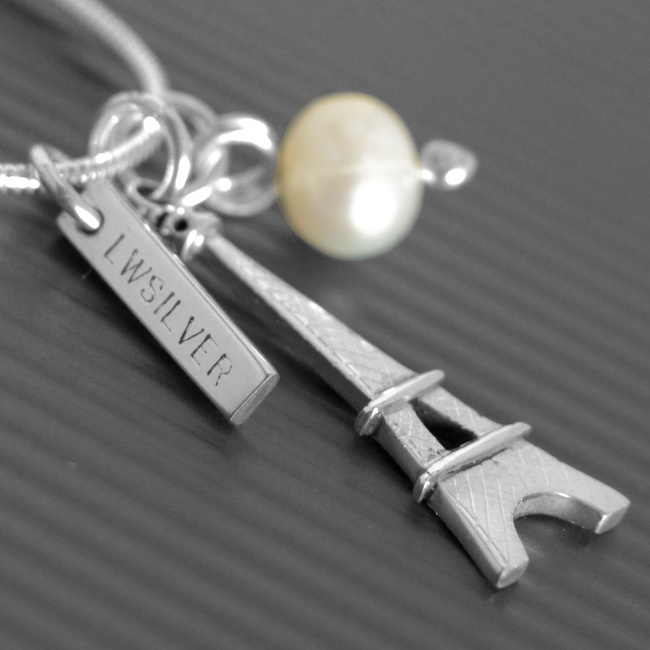 Tags: bespoke silver, birthstone for June, Eiffel Tower necklace, freshwater pearl necklace, handmade silver, jewellery designer, jewellery maker., liverpool, LWSilver, silversmith, sterling silver, uk, wirral. Materials: 925 sterling silver/Pearl gemstone.